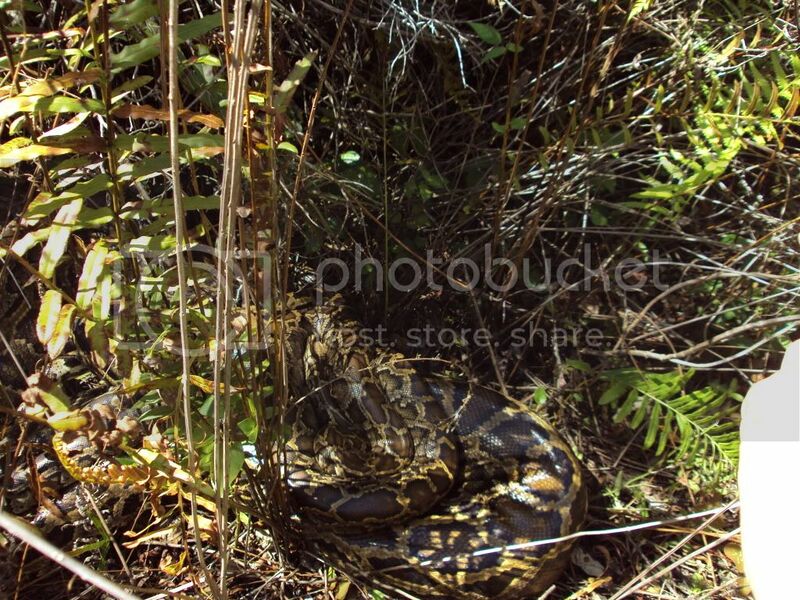 A couple of months ago, non-native Burmese Pythons (Python molurus bivittatus) began their breeding season in Florida -- at least the few who survived the large die-off this past winter. By exploiting the breeding ecology and behavior of these hefty reptiles, wildlife managers use radio (or GPS?) 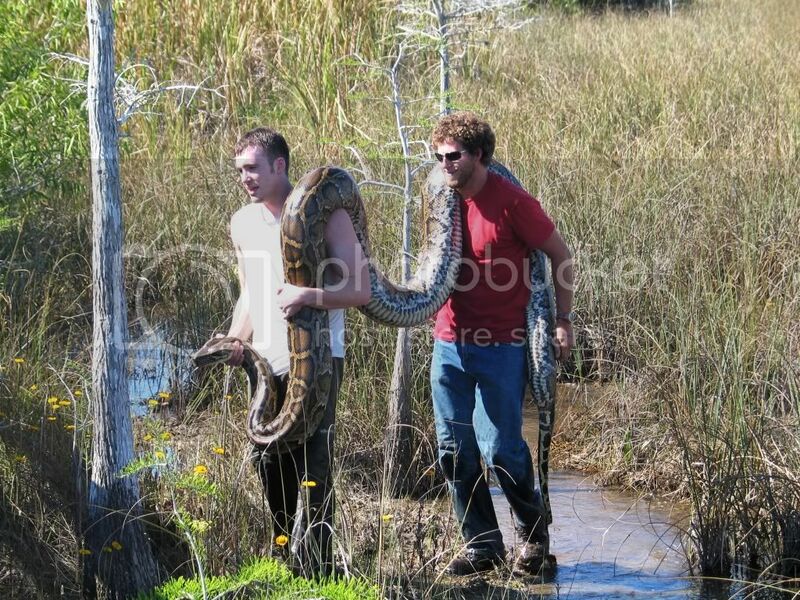 tagged males to track down other pythons as part of their efforts to remove this invasive population. In this post over at fieldherpforum.com, one member of a field crew has shared some photos and video from one such trip, where a tagged male lead the crew to a mating ball of five snakes: the tagged male, three additional males, and one ginormous female. The big girl came in at a whopping 16'9" long and 134lbs! Here's one photo of that tangled mass of snakes, plus some video just before and after the roundup. Many more photos and details are posted here.